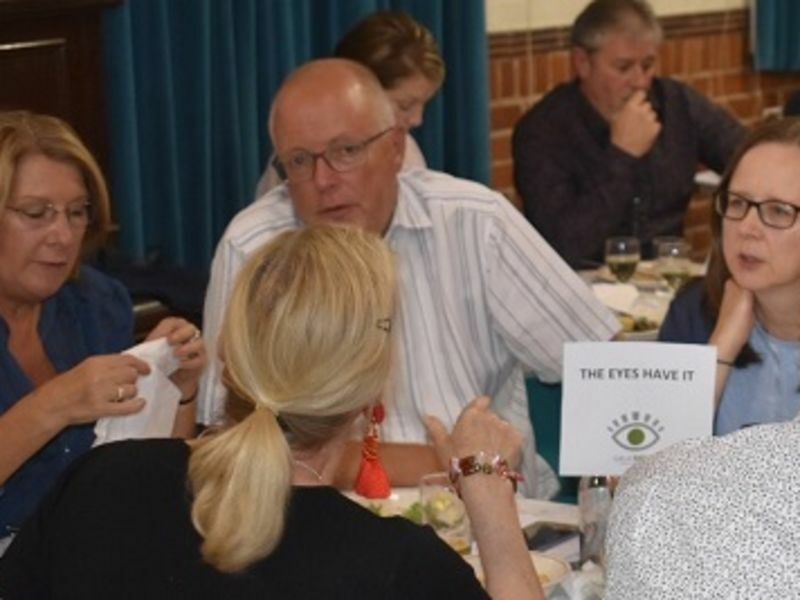 David Norster, branch manager at Winchester, and Peter Hunt, branch manager at Fareham, put their heads together in a charity fundraiser for Gift of Sight last week. A total of £2100 was raised at the event hosted in Shawford, where much of the community joined in to test their general knowledge! David and Pete’s team ‘The Eyes Have It’ won second place, and had a great time with their friends, meeting locals and raising money. The Gift of Sight is a non-profit charity that originally began as a fundraising event in 1994 to equip a research centre in Southampton General hospital. The research being undertaken was for the prevention and treatment of blindness, with funds going towards the equipment and specialists needed to change the lives of those with sight-threatening conditions such as AMD and glaucoma. With over four million people in the UK suffering with a form of sight loss, Gift of Sight is invaluable in its research. If you would like more information on Gift of Sight, or you’re also interested in helping them fundraise, you can go to their website for their full story. Conditions such as AMD and glaucoma can be detected up to five years earlier than traditional testing methods with our Ultimate Eye Exam, which includes an OCT (Optical Coherence Tomography) scan. You can call your nearest branch on 0800 40 20 20, or book an appointment online.